Lisa was born in Sterling, IL, graduated high school in Montgomery, Ohio, and attended Ohio University School of Music. Her family moved to Central Florida in 1986, lived for 12 years in Brandon and finally settled in Lakeland in 1998. There she ran an educational toy business from home while also raising her three children. As a licensed insurance agent, Lisa began working with Jimmy Nelson in 1998. 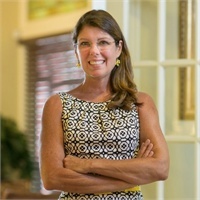 She currently serves as a Family Services Advisor for Whidden-McLean Funeral Homes in Bartow and Ft. Meade and Gentry-Morrison Funeral Homes in Lakeland. With her knowledge in the field of advanced planning for funerals, cremation, and veterans' cemetery benefits, Lisa guides individuals and families in the process of organizing their final wishes, thereby relieving their loved ones of this future burden. An avid public speaker, she is also available for seminars or workshops pertaining to these topics. 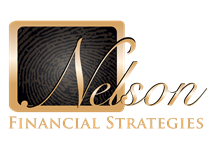 One of Lisa's greatest joys has been training and working alongside her eldest son Ryan, who is an important member of the Nelson Financial Strategies team as well. Often working together, Lisa and Ryan make quite the "Dynamic Duo." Lisa is known for having never met a stranger, being ready to serve when needed, and the reliable resource she becomes to those with whom she works.